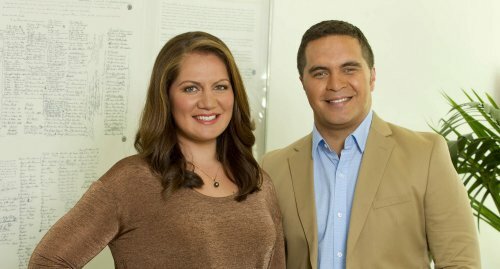 Wake up to Māori Television on Waitangi Day with a two-hour live breakfast show, WAITANGI ATA MARIE to keep you entertained from 8.00am until 10.00am. Hosts Te Arahi Maipi and Stephanie Huriana Martin will ease you into the national holiday talking to musicians, authors and social commentators plus live crosses to Waitangi to see what’s happening there. They’ll talk movies with Stan Walker, Temuera Morrison and David Wikaira-Paul, who drop in to talk about their new film Mt Zion, and history with Auckland University lecturer Dr Aroha Harris, who will discuss the book Tangata Whenua. Political commentator David Slack will give his thoughts on the mood of the nation and there will even be a representative from Statistics New Zealand on hand to let you know about the upcoming Census. And you can sit back and enjoy live performances from Batucada Sound Machine, Aaradhna and country music sensation Tami Neilson. Producer Michele Bristow says WAITANGI ATA MARIE will be a fun way to start the day with lots of banter and performances before people head out to enjoy their day off. Viewers will have the opportunity to win some fabulous prizes with WAITANGI ATA MARIE, including tickets to The Jacksons, Santana, East Coast Vibes and the More FM Vineyard Tour. Four, four-day passes to the 2013 Te Matatini Kapa Haka Festival in Rotorua are also up for grabs so be sure to tune in for your chance to win. CRACK UP, a special comedy show hosted by Mike King, screens at 8.30pm on Waitangi Day. The one-hour show is the biggest line-up of comedians ever assembled for Maori Television and features Andrew Clay, Andre King, Jan Maree, James Nokise, Alan McElroy, Jarred Fell, Mike Loder, Jamaine Ross, Irene Pink and Pax. Join us at Māori Television on Waitangi Day for WAITANGI ATA MARIE from 8.00am to 10.00am and CRACK UP at 8.30pm.